Home, Hugs and Huskies: The Six Things I’ve Learnt as a Step Parent – Lindsay is one of my favorite mama bloggers. This is a post she made awhile back, but reposted for Throwback Thursday. I loved this post then, and still love it now. Being a step parent is tough, but like Lindsay said, she has loved like she has never loved before — and loving like that is so good for the soul. The Richness of a Simple Life: Thought-Provoking Thursday – Niki is a fabulous blogger, and if you haven’t been over to her blog yet, please do so. She is inspiring, kind and has done nothing but support me through my blogging process. This post really struck a cord with me. I’m reading a book called The Secret and this post reminded me of just that. If you think it and believe it — it will become yours. A Thomas Point of View: The Bike Riding Chronicles – Tikeetha is one awesome mama and she loves her Munch. Their adventures together and the stories she tells make you feel you are right there with them. This post is happy, funny, and successful! Way to go, Munch for conquering the big boy bike — it’s daunting but never give up! 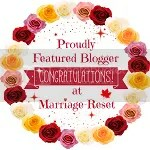 Thanks again to all these wonderful bloggers who shared their stories with all of us. I hope you enjoyed them as much as I did. Happy Tuesday, y’all!